Selangor, Malaysia, Sept 19, 2014 - (ACN Newswire) - A research team in Malaysia has concluded that caged mussels are useful for monitoring heavy metal contamination in coastal waters in the Strait of Johore. 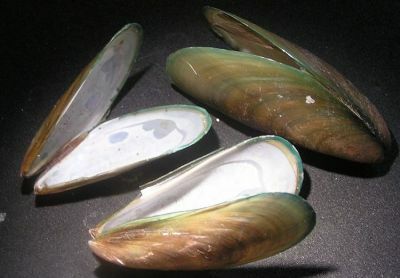 Transplanted or caged mussels have previously been used in Argentina, the Mediterranean Sea, Boston Harbour, and the South Pacific to identify areas of metal pollution. The researchers, who published their findings in the Pertanika Journal of Science and Technology, used caged mussels (Perna viridis) transplanted from relatively clean waters of the Strait of Johore to assess heavy metal concentrations in a more polluted stretch. An important area for fishing and aquaculture, the Johore Strait separates the Malaysian state of Johore from Singapore. The study showed that the eastern part of the Strait was significantly more polluted with cadmium, copper, iron, nickel, lead and zinc than the western part. It also found that the byssus or external filaments of P. viridis are particularly effective biomonitors of cadmium, nickel, lead and zinc, while the mussel's shell can be used to monitor copper, nickel and lead. Zinc accumulated the fastest in the transplanted mussels, while cadmium accumulated the slowest. - is prone to bioaccumulate and magnify such metals. Reference: Eugene Ng, Y.J., Yap, C.K., Zakaria, M.P. and Tan, S.G. (2013) Assessment of Heavy Metal Pollution in the Straits of Johore by Using Transplanted Caged Mussel, Perna viridis. Pertanika Journal of Science and Technology 21 (1): 75-96.